Thanks for this post!!! I am a big advocate of working out in the open since the real fear is in the question itself: if you go on to answer the question “What if…?”, the answer is usually not a big deal. Sure, you might feel uncomfortable at first, but if we are going to help our students be adventurous learners who are not paralyzed by self-criticism, we need to embrace that same attitude for ourselves and set aside what is no more than personal discomfort and perfectionism (I say that as a recovering perfectionist myself, ha ha). I’m doing a lot of audio right now for my students (I just discovered the joys of embedded SoundCloud), and audio is a great example of a medium that is not very forgiving — I can go back and fix typos, but fixing audio is not so easy… and not all that important! If the choice is between “what if I gave my students audio where I occasionally stumble or cough or have to pause to drink of water…? and “what if I didn’t give my students audio at all because it is not perfect…?” then I would say the answer is obvious: if I give my students audio with warts and all, that will encourage them to do audio too! fearlessly! But if I don’t give my students audio, then I lose that potential channel of learning AND I lose the opportunity to encourage them to experiment also. Hi Laura – thanks so much for your visit and comment. I’m interested that you are using SoundCloud and thank you for sharing your reading of an Indian story, which is a lovely illustration of how to use SoundCloud. You have a lovely reading voice. So I will definitely have a look at SoundCloud. I’m wondering whether it will be easy to use and embed in Blackboard. Video creation and embedding has been causing us hassle – but we are finding work arounds. I completely agree about not bothering to correct stumbles in your audio. We wouldn’t do it face-to-face. The only time it would be necessary would be if it changed the sense of what we were trying to communicate. Thanks Laura. I am going to experiment with SoundCloud in Blackboard and Voicethread, which Mariana pointed me to some time ago. 85 stories of “what happens” if things go out in the open http://stories.cogdogblog.com/ More on the way. Hi Alan – thanks for sharing the link to your ‘True Stories of Openness’ site. I did include reference to your site for a presentation I did for Oxford Brookes University a couple of years ago ( see https://youtu.be/eDCmCGvpIII at 18.25). It’s good to know that you are still collecting stories. Hi Jenny – thanks so much for this thoughtful post. I remember us speaking about this project a couple of times over the past few months. The questions you raise here are so interesting. 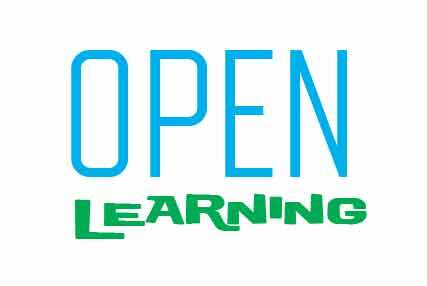 I consider myself an open educator, intentionally using and modelling open practices while also maintaining a critical perspective. Like you I’ve benefited in many ways but I’m aware of the downsides too. I’ve been inspired by and learned much from you, and from all the wonderful open educators included above 🙂 Laura, Lisa, Mariana, Alan & more. I’m currently in the first phase of my PhD study, engaging with educators at one HEI (permanent & adjunct; part-time & full-time; across all disciplines) about why and how they use online tools and spaces, both bounded and open (and all flavours in between!). The intention is to try to understand the complexity of those choices. In the 2nd phase I’ll engage with both students and educators who are using open educational practices, to deepen that analysis. Your post struck me because you are having conversations across this space also, i.e. an open educator collaborating with educators working within an LMS. The myriad of factors affecting those choices is illuminating — it’s not simply a matter of “if only they knew… [e.g. how good/powerful openness could be]”. Individual concerns may relate to privacy, personal/professional identity, use of personal data by 3rd parties, and/or structural issues such as lack of time/training/support. I’m wondering… is a multiple approach the most effective path to change? e.g. listening, engaging in discussion about these issues/concerns (with both educators & students), and sharing stories of open practice. I just saw this post making the rounds at Twitter: excellent! So glad to see open getting talking about… in the open! Michelle Pacansky-Brock has so many ideas about VoiceThread; I think she did an ebook about it if I am remembering correctly…? Hi Catherine – many thanks for your comments. The conversations we had earlier in the year were very helpful to me. They made me aware that a significant factor in whether or not educators and students embrace open online learning is the institution’s ethos and approach. If the institution is ‘afraid’ of open learning and puts up lots of barriers for whatever reason, then this can be very demotivating. I am also just about to make a post about another factor that I have become aware of – and that is access. As open educators it’s easy to make assumptions that students and colleagues will have everything they need to be open educator and learners, things that we may take for granted. Your question about the most effective path to change is an interesting one and I think depends on whether the change is being promoted from the top down or coming from the bottom up. Ideally there would be both, but so often it seems to be one or the other. The problem with the latter approach and the multipath approach on their own is how slow the change can be – but perhaps this is the reality. Hi Laura – thanks so much for coming back again and your mention of Michelle Pacansky-Brock who I didn’t know about. Great ! That’s really helpful. Yes, that’s it exactly: Michelle’s blog is a treasure-trove of all kinds of ideas, and VoiceThread is something she has explored with lots of success!